Spoiler Alert. If you are not current with HBO’s Game of Thrones through the most current episode and do not wish to be spoiled, please avoid listening to this podcast until you are current. Otherwise Matt is joined by Axel (@WAxelFoley) and Heath (@HeathActor) from TVtalk.com and by special guest Donald (@DonaldJr) to discuss the tranistion from Season 3 to Season 4 with questions, answers, theories and more! Plus Matt talks about the Season 4 fan call in show, goes through your feedback and includes a special spoiler discussion for book readers after the end music. Don’t forget podcastwinterfell.com for back episodes, social media and contact links, and links to podcatcher services (please leave the podcast a review while at iTunes or Stitcher). Spoiler alert. This episode looks at S2E10 “Valar Morghulis” with Season 3 knowledge. If you do not want to be spoiled make sure you are current before listening. Otherwise join Matt in a look back at the aforementioned episode. 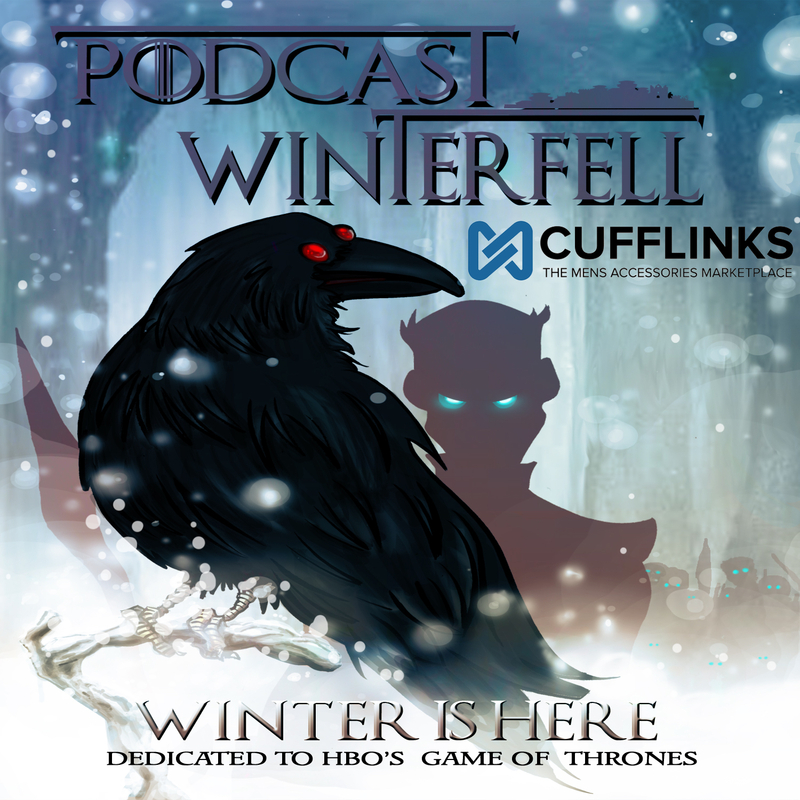 Don’t forget podcastwinterfell.com to find all social media links, podcatcher links (please leave the podcast a review), and contact information. Spoiler alert. This episode looks at S2E09 “Blackwater” with Season 3 knowledge. If you do not want to be spoiled make sure you are current before listening. Spoiler alert. This episode looks at S2E08 “The Prince of Winterfell” with Season 3 knowledge. If you do not want to be spoiled make sure you are current before listening. Otherwise join Matt in a look back at the aforementioned episode. Don’t forget podcastwinterfell.com to find all social media links, podcatcher links (please leave the podcast a review), and contact information. Spoiler alert. This episode looks at S2E07 “A Man Without Honor” with Season 3 knowledge. If you do not want to be spoiled make sure you are current before listening. Spoiler alert. This episode looks at S2E06 “The Old Gods and The New” with Season 3 knowledge. If you do not want to be spoiled make sure you are current before listening. Spoiler alert. This episode looks at S2E05 “The Ghost of Harrenhal” with Season 3 knowledge. If you do not want to be spoiled make sure you are current before listening. Spoiler alert. This episode looks at S2E04 “Garden of Bones” with Season 3 knowledge. If you do not want to be spoiled make sure you are current before listening.